I am voting this year! Are you? Does it Make a difference if i don’t vote ? Yes it does. Our votes are an important tool to bring about a change in the system. They give us an opportunity to raise our voice against injustice. But many of us have developed a ‘chalta hai’ attitude, because we fail to see the power of our votes. This attitude is dangerous for the country. By not voting we are encouraging the status quo. Whom can we vote? Are there good people to vote for? Good politicians exist. And they must be given a chance to do the best they can for the country , for its people. We must encourage broad minded politicians and leaders to come forward and take charge and to educate and uplift the society - spiritually, morally and socially. Well, why should i vote? As citizens, we must protect our country from those who manipulate issues for their personal gains and who lead by playing vote-bank politics. Those with vested interests support insensible decisions and oppose sensible ones. We have to steer clear of such leaders. If we do not take initiative / responsibility today it will be too late tomorrow. Come lets join hands in creating better nation. "COME, LET US CAST OUR VOTE "
1. 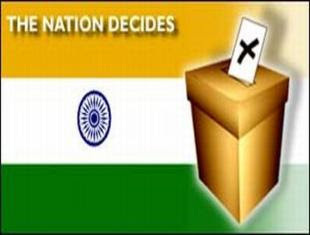 2009 Lok Sabha Elections - Be an Informed Voter! I am back after a long break. The last post was about feedback to my blog. I responded to your positive and constructive, written and verbal all comments. Many of you may be wondering why I choose such name. Layers 7. Is it about seven layers of OSI model for protocol/communication? No. It is about seven layers of our existence. Body, breath, mind, intellect, memory, ego and self. I always wonder, which is the innermost layer and which one is the outer outermost? I expressed myself about it, in this article “Concave Mirror”. You may agree or disagree. This article is also like “Music of Mind” – some random thoughts!! The arranging of these seven layers should be like a concave mirror. For concave mirror if the object comes nearer to it, its image goes far from it. 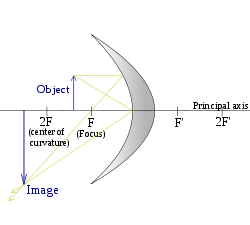 The object comes at focal point then its image goes so far that it reaches at infinity. This is the principle in car headlight, torch, lighthouse. The lamp is kept at the focal point of concave mirror so its light reaches far far away. 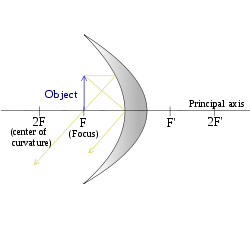 What if the object comes nearer to the concave mirror even after crossing the focal point. The image cannot go beyond infinity. So it goes behind the mirror. In school days, it was further surprising. There is a link between this concave mirror theory and our spiritual progress. If you go more and more inner and deeper to yourself, your horizons expands. Like if you can overcome your mind, be disciplined and show your integrity then you progress individually. In addition to that just be aware about anger, ego and your emotions. With emotional intelligence you can deal with difficult people and have a team of people working under you. Now just care your team members, followers, understand them, love them and then they will become loyal to you. Your reach expands. You progress further in corporate ladder. You start handling bigger group. country then everybody in the world. You belong to all and all belong to you. Remember? That dialogue between Mahatma Gandhi and his relative (brother? ). He convinced to Gandhiji that when we have family issue at our home, Gandhiji should not jump to social service. Gandhiji agreed and argued that the whole country is my family. So you are going more inner and deeper to yourself through meditation, Yoga, devotion etc. You are approaching to mirror, to yourself, to origin, to center. And your image, your horizon, your influence covers more and more geographical area. At one point, you become enlightened. You got all the knowledge. the image is formed at infinity. Now you know purpose of life, who are you, why are you, what are you, when you will die, everything you know. Now what? What to do with this body? This human body was given to you to realize yourself. Now it has served its purpose. Yet, you cannot leave it, because the present moment is not your death time. So you will do service. You will look around you. Yes people have so much confusion, misconceptions, misunderstanding about God. So you do something for them out of your compassion. You transfer the knowledge from one era to other era. Now your image has gone behind the concave mirror. Courtesy to Wikipedia for the images. Let me know do you like this article/such articles?